A man attacked close to a Sheffield massage parlour is still in a critical condition in hospital this morning. 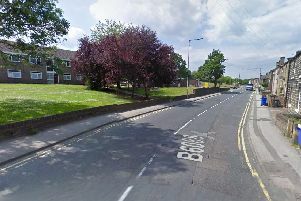 The 26-year-old was found with a serious head injury close to Kittens massage parlour on Attercliffe Road, Attercliffe, in the early hours of Sunday. Emergency services were alerted to the incident at 1.50am and the injured man was rushed to hospital in a critical condition. A police probe into the attack is underway. Anyone in the area at the time should call South Yorkshire Police on 101 or Crimestoppers, anonymously, on 0800 555 111, quoting incident number 108 of 22 April.